Louisiana believes that "every one of Louisiana's children should be on track to a college degree or a professional career". With that said, becoming a teacher in Louisiana will prove to be a very exciting and rewarding career. The steps below will help you weave through the journey of becoming a teacher in Louisiana. Have you ever imagined yourself in a classroom? If so, is it an elementary school classroom that you see yourself in? Perhaps you see yourself working with older children at the high school or middle school level. The choice is entirely yours and should be well thought out before beginning your journey. If you are still unsure, you can visit the Louisiana Department of Education to learn more about the districts, schools, and your options. As is true with other states in the US, the state of Louisiana requires that their professional teachers complete and educator preparation program along with a Bachelor's Degree from an accredited institution. 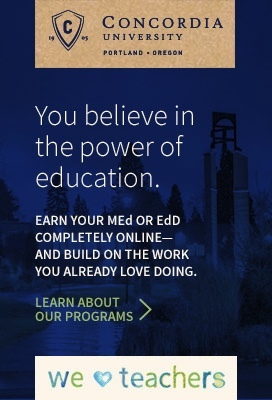 Most accredited colleges and universities offer blended programs for individuals who already know they want to teach as they are earning their degree. Blended or joint programs combine the required coursework for both a degree and teacher education program. Teacher education, or preparation, programs are meant to prepare future teachers. These programs should usually be completed in the state which an individual wants to teach in. The programs generally consist of courses on teaching methods, pedagogy, differentiated instruction, assessment, and more. In addition to the required courses, there is usually a fieldwork element which includes student teaching. Student teaching is when a pre-service teacher works under the leadership of a mentor teacher in a classroom. The student teacher will often teach lessons and reflect on the lessons with the mentor teacher and a supervisor. When choosing a teacher education program, it is important to pick one that is accredited. In some cases, people do not decide to become a teacher until after they have received a degree in an unrelated field. If this is the case, individuals can complete an alternative route to teacher certification. In Louisiana, there are several alternate teaching preparation program. These programs lead to certification as a teacher for non-education graduates. In order to participate in these programs, interested individuals must already have at least a Bachelor`s Degree. The degree can be in a field unrelated to education. The following three types of alternate teaching preparation programs are approved by Louisiana. These programs allow candidates who have already graduated and started another career to pursue a career in education. Practitioner Teacher Alternate Preparation Program- This program merges coursework with full-time teaching. The following certification areas are offered by this program: Grades PK-3, 1-5, 4-8, 6-12, All-level K-12 (art, dance, foreign language, health and physical education, music) and special education mild-moderate. Master's Degree Alternate Certification Program- This program not only leads to teacher certification, but also a Master's Degree. Certification in the following areas are offered: Grades PK-3, 1-5, 4-8, 6-12, All-level K-12 (art, dance, foreign language, health and physical education, and music), Early Interventionist Birth to Five Years, Mild/Moderate, Significant Disabilities 1-12, Hearing Impaired K-12, and Visual Impairments/Blind K-12. Certification Only Alternate Certification Program- This program is flexible in that it can be completed online or face to face. This can be a great route for individuals who are interested in becoming certified in the following areas: Early Childhood Education Grades PK-3, Elementary Education Grades 1-5, Middle School Education Grades 4-8, Secondary Education Grades 6-12, All-Level Grades K-12 (art, dance, foreign languages, health and physical education, and music) and Special Education: Early Interventionist Birth to Five Years, Hearing Impaired K-12, Visually Impaired/Blind K-12, and Significant Disabilities 1-12. Public educators in Louisiana should pass the required examinations. Different licensure areas require specific tests. In general, unless the candidate has earned a Master's degree from a regionally accredited university, candidates must pass the three Praxis Core Academic Skills for Educators (Core) tests. The core tests are comprised of three tests on Reading, Writing, and Mathematics. In addition to the Core tests, teaching candidates in Louisiana will need to pass a test in their specific certification area. This test is needed in order to prove that the candidate has competency in the content area. When applying for licensure in Louisiana, it is important to submit all the required information and documents. There are several certification applications, so it is important to complete and submit the correct forms. Louisiana's belief that every child in the state should be on track to a college degree or career can be achieved with your help! After completing the above steps, you will be ready to be the great teacher that student in Louisiana need. The state of Louisiana is committed to sourcing highly-qualified and passionate applicants to fill teaching roles across the state. To date, survey results from the Department of Education's most recent "Partners in Preparation" document outlines some of the unique challenges that face the workforce in this state. Nonetheless, candidates seeking employment in education are encouraged to read the document as well as begin the application process. 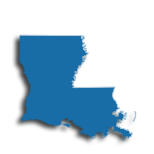 The Department of Education has organized a database for employers and potential employees at teachlouisiana.net. Louisiana also participates in the Troops for Teachers program. Teaching employees are eligible to join the Louisiana Federation of Teachers (LA-AFT) and the Associated Professional Educators of Louisiana (A+PEL). Both organize professional development and support teachers through advocacy. Finally, upon retirement from the public system, teachers are given a pension through the Teachers Retirement System of Louisiana (TRSL). Financial planning advice is also available for teachers and their spouses through the TRSL. Educators can also pursue employment with one of Louisiana's 437 private schools serving 132,642 students throughout the state. Teachers at private schools may find that salary, benefits, and advancement opportunities differ from their public colleagues. However, career advancements may be more feasible in private schools and student to teacher ratios are often very optimal. The table below lists the number of public school teachers in Louisiana by grade level during the 2012-2013 school year. There are more than 360 private schools with an estimated 8,000 private school teachers in Louisiana. The table below details the number of teachers by grade level during the 2011-2012 school year. Upon being granted a state teaching license, most teachers begin expanding and improving their practice both in the classroom and in supporting activities outside of the classroom. Professional development is a career-long endeavor that, in addition to helping teachers meet student needs, helps teachers achieve their career and salary goals. These goals serve to motivate teachers to learn more about how individual students learn and develop in a number of ways: intellectually, socially, and developmentally. Professional development helps teachers identify students' abilities and tailor opportunities to student learning. One of the core areas of professional development is to foster in educators the ability to furnish different approaches to learning - as each student in the classroom has unique learning needs. In the state of Louisiana, teachers are encouraged to create a login on the Louisiana State Department of Education site dedicated to facilitating PD offerings and transcripts. There, teachers will find ongoing offerings throughout the state for professional developments offered through organizations such as the Louisiana Association of Teachers of Mathematics (LATM). A master's degree along with at least five years of classroom experience, will help you earn Level 3 certification - the highest certification level in Louisiana. Your initial Louisiana teaching certificate is a Level 1 certificate, which is valid for three years. This certificate may only be extended for one year if you fail to meet the requirements for a Level 2 certificate. To advance to a Level 2 certificate, you'll need at least three years of classroom teaching experience. Then, to maintain your Level II certificate, you'll need renew it every five years, actively teaching for at least three of those five years, and complete at least 150 continuing learning units (CLUs) during this time. Work toward your master's degree and you'll be able to meet the 150-CLU renewal requirements for your Level 2 certificate after taking just four classes (3 semester hours = 45 CLUs). After earning your master's, you'll also be able to eventually earn a Level 3 certificate after five years of classroom teaching experience and the successful completion of the Louisiana Teacher Assistance and Assessment Program (LATAAP). A Level 3 certificate, while optional, is often chosen by Louisiana educators who want to improve their opportunities for advancement, increase their earning potential, and fulfill personal and professional goals. Apply for a Level 3 certificate here. Educators in Louisiana with a master's degree are often rewarded for holding this advanced degree. For example, teachers in the Jefferson Parish Public Schools earn a minimum annual salary of $44,500, while those with a master's degree earn a minimum salary of $45,700. In this school district, the more experience you have, the larger the pay increase you get when you earn your master's. For example, mid-career educators here earn a minimum salary of $46,300, while master's-educated teachers at the same level earn a minimum salary of $49,300.